20. Get with the Program! Well I have to say that I was shocked at the results I received even without exercise and a little cheating while on the detox track, I lost 5 pounds. Now imagine if you keep to the 11 day plan for the detox and do some mild-moderate exercise? The results can be endless!! I also noticed how much clearer my skin has been since on being on the Fast Track detox diet. I am definitely going to continue on the Fast Track! There is one thing that I absolutely agree with Ann Luise - the amount of chemicals that we are exposed to in our daily lives is overwhelming. I think that cleansing our bodies from them ("unchemicalizing ourselves") from time to time is a very good idea. There are several other authors that pointed to this problem in the past. There are also a few who suggested better or worse cleansing solutions. My favorite to date was Mikhail Tombak who offers total body cleansing solutions (starting with the liver, via kidney, intestines, bones and joints, and ending with blood) in one of the chapters of his book Can We Live 150 Years. 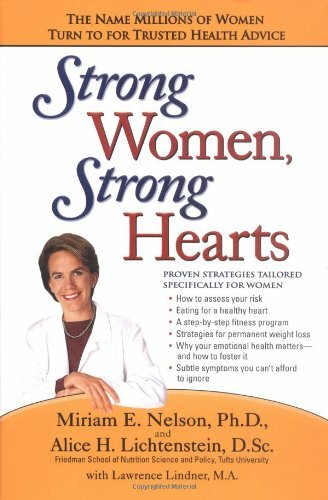 The other author dealing extensively with this topic in her few books is Hulda Clark. Gittleman's Detox Diet is only a good addition to the anthology. I do, however, have a problem with the "eight pounds weight loss in a day" idea. Isn't this just a little over-promising? Even if it's not quite an overnight diet, there's always something helpful, tips, ideas, tactics, that you can take away from one of Ann Louise Gittleman's books and incorporate into your weight loss approach. Definitely one for my weight loss library!!! A great "non-diet" way to lose weight AND regain energy! This is yet another of Ann Louise Gittleman's sound nutritional plans to safely and effectively lose weight AND regain health and energy. Yesterday was my last day of the 11-day Fast Track and I lost a total of 13.5 pounds!! I lost 10 lbs on the prequel, 3.5 lbs on the one-day fast, and maintained during the sequel. I'm thrilled!! I'll be Fast Tracking it every 6-8 weeks because I FEEL GREAT!! Even during the one-day fast I wasn't really that hungry and I slept great that night and woke up the next morning feeling more rested and energetic than ever...AND 3.5 lbs lighter!! I'm totally amazed at how great I feel and how much weight I lost in 11 days because, honestly, I didn't feel like I went hungry or really did without. I did give up my beverage of choice, coffee, and did really miss it for a few days. But now I find myself craving cranwater even more than coffee...lol! I'm going into Gittleman's Fat Flush plan now to continue to lose the remaining 50 lbs I have to lose. I'll combine it with another Fast Track Detox session every few weeks to jumpstart my metabolism and add some variety. This is a very "non-diet" way to lose weight, especially when you have 50+ lbs like I do. As an added bonus is all the energy I have and the fact that I feel healthier than ever at 44! Thanks for a great plan, once again, Ann Louise! Unfortunately, during my experience with corporate America I've had several business/success books thrust upon me. The Seven Habits of Highly Effective People is the only one that was worth reading. This book, coupled with the First Things First training I received at work has had an enormous impact on me. Five years later, I still organize my life based on my mission statement, roles, and goals. I plan weekly and take time out to Sharpen the Saw. I don't always live up to the seven habits, but at least I'm going in the right direction. Periodically I pull this book out of my bookshelf and flip through it to reinforce the lessons it contains. It's also one of the few books I've ever bought someone as a gift. My biggest criticism is that Covey has a tendency to beat you over the head with examples. Numerous times as I read the book I thought to myself, I get it, move on. My other big complaint is that this book coined the word "proactive," which is believed to mean the opposite of reactive, but actually means that the person using it is an idiot and needs to resort to using made-up words to appear highly effective. This book has definitely changed my life for the better. This is a book that has changed my life irrevocably and forever. It required great energy, patience and time to read, one with much meaning and very deep in content. In fact, after struggling through the first two Principles outlined in this book I found myself putting it away on the shelf. For nearly a year it sat there and I didn't pick it up again until I had another reason to. The second time around I could not put the book down and took prolific amounts of notes. The third time I read it I learned even more. This book is about self, about becoming the true you and living your life optimally. This is not a pep-rally or a psychological breakdown of "The 100 Top Tips to Boost Your Self-Esteem". The Seven Habits of Highly Effective People is all about understanding where you can (should) be taking yourself in your life. The influence, the support, the understanding, the energy that Dr. Stephen Covey discusses comes from within yourself; it is not an external influence that fades as soon as the source is gone. You create it; you live it; it becomes you and you become it. These principles are not subject to the whims of others. You create yourself, you build upon yourself and you become an effective person in your life through learning to help yourself and others. You learn how to graduate from dependence to independence and then even further on to a higher level: interdependence all by looking deeply within yourself and following seven sound principles that are laid out in a very logical, rational and emotionally-sound manner. The principles behind Dr. Covey's ideas are based on faith in self, community and God. He helps you to understand the philosophy, "Love Me for Me." In The Seven Habits, Covey talks about the Personal Mission Statement. This is a project that you create, write, rewrite over and over until it describes the person you most want to be. Then you simply spend the rest of your life living those beliefs until you become that person. It is probably the easiest, yet most difficult thing you will ever do in your entire life. Why? Because you must devote your entire life, and energy to this task. How easy it is to become side-tracked and slide into old habits of comfort. But these old habits are the ones that you want to rewrite with new, better habits. This is a difficult road to follow. It is also, without a doubt the most rewarding activity you will ever do in your entire life. After all, the most rewarding things in life are often the most difficult. Stephen Covey outlines the best strategies for maximum effectiveness in this great book. 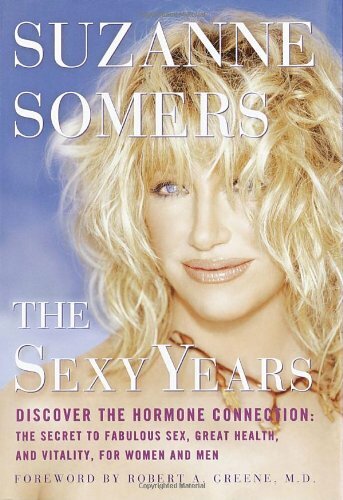 The fact that this book has remained a best seller for over 15 years should tell you something about the merits of the informmation that it contains. I have worked for major corporations and I have been self employed in direct sales and network marketing. Hardly a day goes by when I don't find someone who recommends and in many cases, carries The 7 Habits around with them in their briefcase. In a world of me, me, me, me. It's great to have a noted and highly respected authority like Dr. Covey teach the concepts of "Win-Win" and "seek first to understand, then be understood." I am also happy to see that Dr. Covey has endorsed network marketing and recommends it. easy to understand why. Network marketing is indeed the wave of the future so it makes sense that the professionals of the present and the near future will be applying Dr. Coveys techniques just as those Fortune 500 companies have been doing since the 1980's. Great book. I highly recommend it to everyone and especially network marketers who want to significantly grow their business. Thank you Dr. Covey for a great book. The way the author has deconstructed human development and potential is insightful. The author's view is that people first develop a triumvirate individual competances and skills. Once they have mastered this they can then accelerate the results they achieve by mastering 3 more skills that enable them to enable others. 5) Seek first to understand. "Crucial" conversations are interpersonal exchanges at work or at home that we dread having but know we cannot avoid. How do you say what needs to be said while avoiding an argument with a boss, child, or relationship partner? Crucial Conversations offers readers a proven seven-point strategy for achieving their goals in all those emotionally, psychologically, or legally charged situations that can arise in their professional and personal lives. Based on the authors' highly popular DialogueSmart training seminars, the techniques are geared toward getting people to lower their defenses, creating mutual respect and understanding, increasing emotional safety, and encouraging freedom of expression. Among other things, readers also learn about the four main factors that characterize crucial conversations, and they get a powerful six-minute mastery technique that prepares them to work through any highimpact situation with confidence. Outstanding tool that gets results! As a coach to both individuals and groups, I see the very costly problems in the workplace that result from the important conversations that are not occurring because they are too hard or scary. The cost includes harm to relationships, careers and the bottom line. Both executives and high performance teams have been derailed by not addressing the dead elephants in the room. 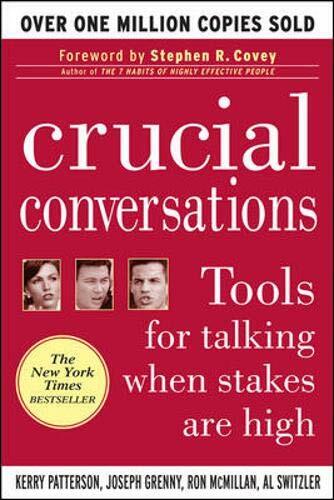 Crucial Conversations is absolutely the best book on the subject of difficult and critical communication. The book is very well organized, presenting clear steps to create an environment in which the hard conversation can happen. There are so many tools in this book that if it were not so well organized and presented in stages, the reader would be overwhelmed. The authors handle this very well - you can tell there was experience and expertise in adult learning informing the structure of the book. Why my clients and I become so excited about the book is its immediate results. You can start using the concepts and skills before you have finished the book! The foundations of making the environment safe - even for someone you may not like or respect is particularly effective. I have been very pleased with the results I have experienced - as well as my clients. Every leader should have this book on their bookshelf! A bonus to readers is the continued support from the authors on their website described in the book. There is a wealth of additional information, interactive reviews, assessments and even video vignettes that illustrate the learning points with relevance and humor. For those truly smitten, there are training courses available to assist in obtaining personal mastery or even to teach the material if desired. I recommend this book and Primal Leadership to top-level executives in the federal government and private sector. I, and they, have never been disappointed at the difference it has made. Enjoy! I have read Crucial Conversations cover to cover 4 times now. The results in my business and my marriage have been amazing. The book is well written and easy to understand. It teaches step by step skills to help you master the content. Before reading this book, I thought influential people possessed a natural ability to effectively handle conflict. After reading the book, I now realize that there are specific skill sets that anyone can learn (and master) to effectively deal with these "High Stake," "Strong Emotions," and "Opposing Opinion" conversations. My confidence and productivity has increased in every area of my life (My business has increased by 30%-50% since I read the book the first time) and I am now effectively handling conversations with my wife that once caused constant upset. I would recommend this book for anyone 1) wanting increased results and 2) willing to have a profound breakthrough in how they communicate. It has made a profound difference for me. Wanna argue? Nope. Then you need Kerry Patterson and his co-writers, who describe techniques for effective negotiation and conflict resolution in the context of important, potentially life-changing conversations. Examples include talking yourself into a promotion, bringing up important information at meetings and working out problems with your spouse. Some tips will sound familiar, such as knowing what you really want and being open to alternatives. However, the book also highlights some themes that are often forgotten in negotiations, such as making it safe for others to express their true feelings and desires. The authors explain how to avoid getting forced into false either-or choices and tell you how to remain alert for unstated alternatives or possibilities. This lively book includes many examples drawn from business and personal relationships. We recommend it in particular to those are new to negotiations and conflict resolution, though it teaches solid skills that any manager - or any marriage partner, for that matter - could benefit from mastering. I bought this book after I heard Dr. Glickman, the author of Optimal Thinking-How To Be Your Best Self, recommend it during an Optimal Thinking seminar. When I read that Dr. 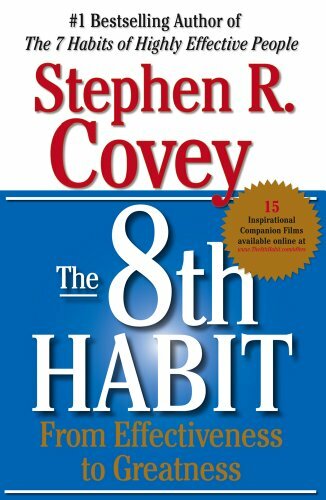 Covey, author of The Seven Habits of Highly Effective People, recommended this book too I knew that this was going to be a life-changing book for me. I was right. This book has given me a formula for handling myself and others correctly during tough interactions. I am embarrassed to admit that I sometimes yelled and degraded people when I did not get what I wanted from them. Now I use optimal thinking to put my best self in charge, start with heart, look for safety problems, make it safe, retrace my path, and take the other steps recommended in this book. The steps are simple and clear. I am not perfect at them yet, and might never be, but I have already come a long way. 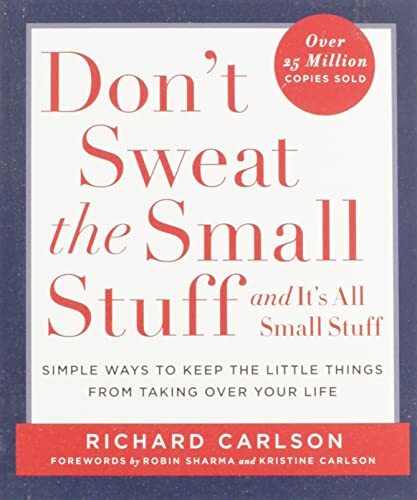 You can't go wrong with this book, so press the "Buy" button right now, and if you want to optimize your effectiveness in all areas of life, buy the other books I mentioned. The keys to overweight are liver toxicity, waterlogged tissues, fear of eating fat, excess insulin, and stress, asserts nutritionist Ann Louise Gittleman. Her Fat Flush Plan addresses these problems with a targeted diet. The Fat Flush Plan, filled with nutritional analysis and detailed explanations, is not a quick read. Despite Gittleman's assertion that the plan is "as easy as 1-2-3," it is quite regimented. No white flour, white sugar, margarine, vegetable shortening, artificial sweeteners, or caffeine. The diet emphasizes essential oils (e.g., flaxseed and GLA), protein (eight ounces or more, plus two eggs a day), vegetables, thermogenic spices (e.g., ginger and cayenne), water, and diuretic beverages (eight glasses/day of diluted, unsweetened cranberry juice). In its first two-week phase, the plan is a rigid, low calorie (1,100-1,200 calories/day), low-carb (no grains or starchy vegetables) diet. Phase two lets you increase your calories to 1,500 and add two "friendly carbs." Phase three, the "lifestyle program," moderately adds more dairy, carbs, and calories. Gittleman promotes walking and recommends strength training in phase three. I'd just like to say that the Fat Flush plan really works! Three months ago, I bough this book on a whim. I tried the Fat Flush plan for 1 week. I did not complete the 2 week program because I got a new job and was moving to a new place. Basically, my routine was thrown off. The first two days were difficult, I was irritable, and tired due to withdrawal symptoms forewarned by the author. But I pulled through and on the third day, I was feeling fine again. By the end of the week, I had lost 9 pounds! I have never been able to lose this much weight in such a short time in my life. The great thing was that I did not have to miss any meals or spend 4 hours at the gym. I still have 25 more pounds to go, but I justed wanted Dr. Gittleman to know the most amazing thing. Although I only stuck with the Plan 1 for a week, I have not gained back a single pound even though I am now keeping my diet prior to Fat Flush. It know is not the best practice, which is why I am planning to go back on the Fat Flush Plan very soon. For those of you who are wondering if this works, please give it a try. I feel that the ingredients in the recipes promote great health and you should do it for your health, if not anything else. So Much More Than Just A Diet! 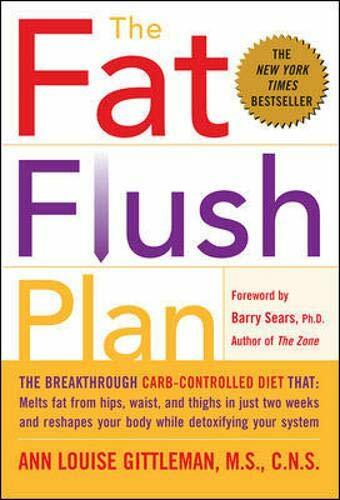 The book The Fat Flush Plan is amazing! 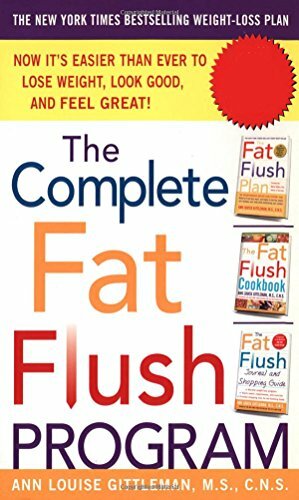 Not only does Ms. Gittleman describe each of the three phases of her weight loss plan in detail - including sample menus, she educates the reader about how the body processes, stores, and burns fat and explains how people are sabotaging their efforts to lose weight in the chapter "Five Hidden Weight Gain Factors." 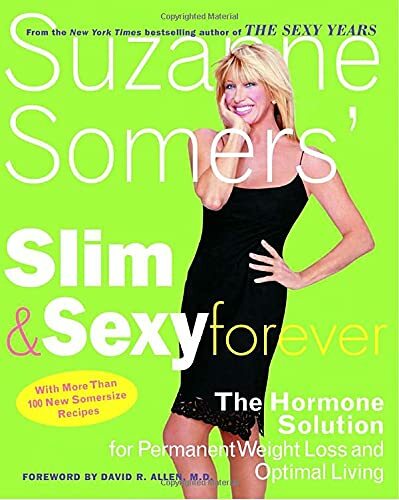 In addition, Ms. Gittleman includes an exercise component, tips for eating out, a master shopping list, some recipes, a frequently asked questions chapter, and a resource section on where to find the Fat Flush ingredients. She does all of this in an easy and caring manner. This plan is so much more than a diet. It truly is a long-term healthy life-style eating plan that will ultimately make you thinner, more energetic, and feel and look younger. 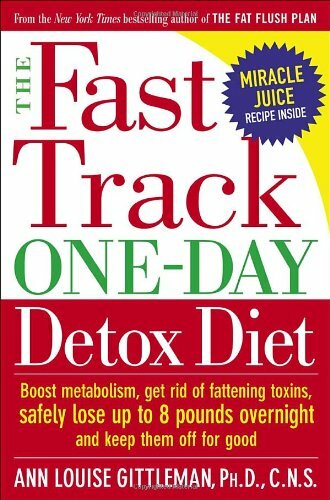 In The Fat Flush Plan, Ms. Gittleman emphasizes the importance of "detox." The liver is one of the key elements to weight loss. It needs to function properly and efficiently. This is why Phase 1 of the plan is so crucial. The detox process cleans out the liver so that it can do its job better. When purging all the "toxins" from the liver and body, there may be some side effects - from mild to severe. At first the side effects may make you feel badly, but after a few days, you will begin to feel better and finally you will feel great! I was one of the lucky ones for the only side effect of the detox process I experienced was a mild headache as a result of eliminating the several diet cokes I consumed in a day. The Fat Flush Plan can help everyone whether you have just 10 pounds to lose or if you have more than 75 pounds to lose. It has certainly helped me. I had a little bit of extra weight that I just couldn't seem to lose. To date, I have lost 12 pounds and I am back to wearing a size 4, but best of all, I feel wonderful! My sister-in-law has lost around 90 pounds down from a size 24 to a size 10. Even my 20 year old daughter has lost five pounds and reshaped her body in less than three weeks by using the Fat Flush Kit and following Phase 3 of the Plan. Be sure to check out Ms. Gittleman's web site for additional information and support. She offers an online forum in which people post their tips, recipes, and can ask questions about the plan. To get there, go to www.fatflush.com then click on "support" at the top of the page. When the new page comes up, click on "Fat Flush Forum" on the left hand side of the page. The Forum will appear. Anyone can view it, but if you would like to participate, you must set up a username and password. It is so easy...to quote Ms. Gittleman, "There are no quick fixes - but the Fat Flush Plan comes close." There is no question that Gittleman has an interesting plan here for weight loss. Her focus is upon purging the liver of toxins in that the liver metabolizes fat and so, if the liver is impaired or sluggish, then the body's ability to lose fat is affected. This is an interesting premise and one that many of the diet specialists who emphasize detoxifying diets strongly support. The main culprit in many of these detoxifying diets is caffeine, and Gittleman is no exception here. She states that caffeine stresses the liver and so should be eliminated--especially in the first 2 weeks of the diet, which are the most restrictive. This book has a 2002 publication date, and the question is whether new research supports this view or not. Actually, no. On May 18, 2004, researchers from the National Institute of Diabetes and of Digestive and Kidney Disease in Bethesda, Maryland and from Yale University made a presentation to the Digestive Disease Week annual conference in New Orleans that confirmed after an extensive study of 5,944 men and women at high rsik for liver injury due to excessive drinking, hepatitis B and C, obseity, or impaired sugar metabolism that caffeine actually reduced the risk of liver damage. In other words, caffeine was actually good for the liver! As the researchers pointed out, several other studies had confirmed this same finding that "people at high risk for liver problems can reduce their risk by drinking coffee and other caffeinated beverages." So, so much for that part of Gittleman's fat flush program. That said, though, she does offer an interesting diet plan that probably will create weight loss--primarily because it is fairly low in calories for the first phase (the most stringent one) and because it is jam-packed with good foods, from the essential fatty acids (EFAs) in flaxseed to the two servings of fruits a day required. That plus you can eat unlimited amounts of most green vegetables, which will keep you feeling full and also give you lots of vitamins and minerals. She also restricts your daily protein intake to no more than 8 ouces a day, plust two eggs. This limit on the amount of protein guarantees that your body will not convert excess protein to sugar (through the process of gluconeogenesis, also called glycolysis) and thus undo your weight loss regimen of fat burning for fuel. She does emphasize that you must eat 2 eggs a day every day (which of course you must prepare without butter) and avoid ALL dairy products in order to lose weight. The 2 eggs a day reduce belly fat, she says, which may have more to do with that eggs are high in lecithin, which is a fat emulsifier and thus helps break down fat. So you may wish to take lecithin as a supplement in place of the eggs or to amplify their effects. And you drink a lot of water with unsweetened cranberry juice added, and you rule out nearly all diet foods and beverages in that you can only have Stevia as your sweetener. This actually is a good idea as there are concerns about aspartame (Nutra Sweet) and saccharin (Sweet 'n Low) from numerous studies, and some new studies alaso raise questions about sucralose (Splenda). Her plan is very detailed and seems to have a good basis in fact, except for here and there. There are oddities--like she says don't eat high starch vegetables, like potatoes and carrots, and then she has one carrot a day as a possibility for your vegetable selections. Also, she is a strong advocate of using conjugated linoleic acid (CLA) as a supplement, while Jonny Bowden in Living the Low-Carb Life: From Atkins to the Zone says there are concerns about CLA and don't use it. And Bowden cites new studies on flaxseeds as having an adverse effect on men's health by contributing to enlarged prostates, so Bowden encourages caution for men--but not women--in using flaxseed products. Even so, he gives Gittleman's diet a 5 star (highest) rating--so go figure. One other thing I find odd is that in the list of unlimited vegetables, Gittleman includes some that seldom make the list because they are high on the glycemic index and have quite a bit of sugar--such as tomatoes (actually a fruit) and okra. Overall, though, it appears that this diet could be a healthy one, especially for people who have lived on high amounts of sugar and processed carbohydrates. And definitely switching away from those products to more healthy and lower-calorie ones will aid weight loss, too. And because Gittleman's diet, while not actually saying so directly, is one that favors a low consumption of saturated fats, it may well find more favor with doctors and dieters concerned about saturated fats--even though the research strongly indicates that saturated fats are not the problem, but the consumption of saturated fats in conjunction with highly processed carbohydrates is. In other words, the average American diet of junk food and little else. I needed either a lot more time or a personal chef to adhere to this diet. The recipes are tasty, but very labor intensive, and the demand for all fresh and often exotic veggies plus lots of fish, steak and chicken made this expensive. I did lose weight for the few days I was able to stay on the diet, but I was constantly hungry (and therefore grumpy) so my family made me stop the whole thing. I do like cranberry juice in my water, though. What a bargain these are for someone who is serious about losing weight and getting healthier. I purchased them one at a time as they came out and I lost more than 50 lbs. In my 60s, I had long ago given up hope of having a slim, trim figure. I had given up so much that my weight had moved up to well over 200 lbs. Then I discovered Fat Flush. It not only helped me lose weight but from the beginning I felt better, swollen ankles and lots of aches were gone. I've never been on an eating plan that has been so successful. I've now been on it 20 months, and while there are times I get a craving or so, I'm not tired of it. I've really learned to appreciate the natural flavors of vegetables and simply cooked meats. I always loved fruit. And, if you want to get fancy, there are lots of ideas in the main book and the cookbook. The journal is handy not only to record your eating habits and feelings, but it has a concise shopping list for all phase of the plan in the back. This is an easy size to carry with you. I've been discussing the plan on line with others who have been on it since the beginning. It works for those who have a few pounds or lots to lose, and more importantly for many, changes destructive eating habits. The supplements and special foods (cranberry juice and flax oil) are readily available in most places in the States, and really seem to kick it the plan's benefits a notch. 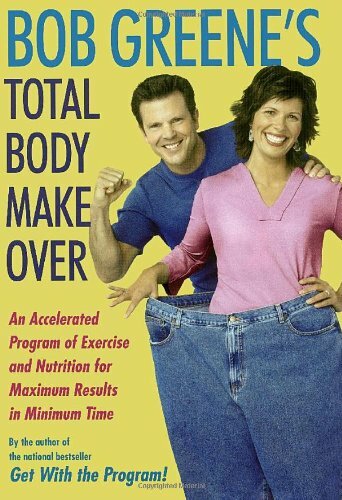 I treated myself to this book for Christmas knowing it's a bad time of year to take on weight loss. It's packed with useful, sometimes little-known, information that takes more than one read to grasp. Bottom line: it works beautifully, even in January. I suggest you read the book all the way through before starting the diet regimine, locate the health food stores and check them out for items you will need frequently, and go for it. I found that if I prepared my breakfast and lunch the night before and took them to work to reheat in the microwave, I stayed true to plan. Slightly undercook the egg dishes at home and the reheat process will finish them just right. The program is expensive to start, but tapers off once you accumulate some of the items. (I justify all of it easily because I know I have treated my car better than I have treated my liver!) If you don't have the spices on the shelf, buy the smallest bottle you can until you know you will use them again and again; not to mention the freshness factor. The supplements make a huge difference...I'm OFF ZOLOF! My doctor actually prescribed it for energy instead of good nutrition. Which brings me to my last comment: Imagine, a diet book written by a nutritionist...what a novel idea! Tomorrow I begin Phase 3 of the program, and I must say that I am blown away at the results!!! I stumbled on this book while webshopping one day, and just decided, 'What the heck.' Within the first week, I felt what I can only describe as a 'light feeling' -- as if something that was clogging my body finally was released. By P1W2 (Phase 1 Week 2) I had lost at least 1 inch in my stomach -- my problem area. By P2W1 even my co-workers noticed the difference. Clothes that I could not button or zipper up a month prior were now fitting me. By the end of P2W1, the thick allergy-related dark circles under my eyes cleared up by 75%, and overall my allergies did not bother me anywhere near the extent they used to. I just want to add that I saw results, and have not even started a fitness training program yet... I will admit that I followed 95% of the program. I used small amounts of salt just for flavor where necessary, and have even eaten some things that are not FF (Fat Flush) approved. Yet I NEVER felt terrible or felt as if I wanted to give up on the program because I STILL got results that were so wonderful that I didn't want to stop. At first it is very hard to give up the carbs, and even now I have my cravings, but the good thing about this program is that I know that I can satisfy those cravings, but in a healthy way and I can enjoy the things that I like to eat, but without going overboard and without becoming addicted again to the carbs!!! 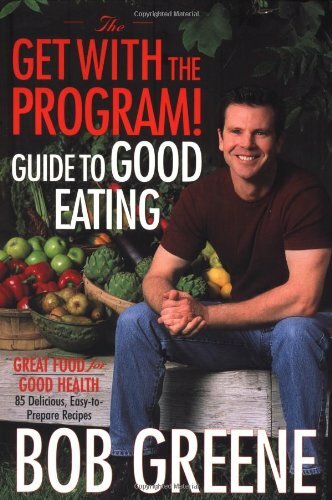 I would recommend this book/program to anyone. It was surely a wonderful addition to my life!!! I do not know where to begin other than to tell you that this plan has SAVED MY LIFE!!! It has taken an overweight, tired, sick, and unhealthy woman and provided her with the knowledge and tools that have helped to transform her into a healthy, happy, energized, lucious woman.... heavy emphasis on the "healthy" aspect. I have had a weight issue since I was 12 or 13. Always turned to food for love, for comfort, for solice, for excitement, for passion, for.... you name it! And I've done every "diet" under the sun... including, but not limited to, Weight Watchers, Jenny Craig, Nutri-System, Over-Eaters Anonymous, hypnosis, behavior modification, .... basically everything except jaw wiring (which I once checked into) and stomach stapling (which I also investigated). Last fall, while watching a football game, I overheard the announcer referring to one of the players as "a big guy.... 6'2" amd 235 lbs".... well I was 236 and certainly NOT 6 feet tall... it was, as Oprah calls it, my "lightbulb" moment. I knew I had to change my life or I was going to die. I am the mother of a 15 year old boy who needs his mother in his life and I was not going to be around long if I continued living the way I was. I started doing the Atkin's diet, and I liked the "low-carb" philosophy that he espoused, especially liked reading his "Age Defying Diet Revolution" book. But, overall the Atkin's diet left me feeling "heavy", constipated, kind of lathargic and overall felt basically unhealthy. Then, after telling a friend about my concerns with Atkin's, she told me about FFP in late May. Just hearing her talk about it made so much sense that I immediately went out and bought the book, cookbook and journal. (I've never been one to keep a journal, but I just started journal number five a few weeks ago.) I had seen Ann Louise Gittleman not long before that on Dr. Phil talking about perimenopause, and her newest book called "Before the Change", and sat there taking notes a mile a minute. She just made so much sense..... but I didn't put 2 and 2 together and figure out that she was that woman on Dr. Phil until I did a search of her books at the local library when initially looking for the FFP, and when I saw "Before the Change" on the list of her books, everything clicked!! Since the first week of June, I have lost approximately 65 lbs, and still have 36 more to go. But, far beyond the weight loss issue is the fact that I have become a healthy person. I live a healthy and fit lifestyle. I am a role model for friends, family, coworkers, and even perfect strangers that I meet. I have joked that I am like a Fat Flush evangelist. I even bought 4 extra copies of the book and 2 extra cookbooks, and created my own little FFP lending library so that I can lend them out to others to get them started. I have numerous friends who are now Fat Flushing.... all of them with success. Just as a side note.... I have purchased and read nearly ALL of her books. I especially liked "Eat Fat, Lose Weight". It all just made so much sense to me. I even bought "Super Nutrition for Men" for my husband to read. I have a little bookcase in my kitchen that I keep cookbooks and the like in, but I have one shelf devoted to my ALG books. I am very appreciative for what the Fat Flush Plan has done for me, my life, my family, my spirit, my outward and inward beauty, but most of all, I am thankful for my increased good health and overall sense of well-being and the knowledge that I can succeed at anything I really want to do, if I have the right information and the proper tools..... as I said at the beginning of this letter... it has CHANGED MY LIFE!! Thank you from the bottom of my bottom for everything this plan has done for me and all of the Fat Flushers around the world. Effective, but lots of detailed work! A friend of mine suggested I get this book recently. I felt stressed in a number of areas in my life and when I started reading this I understood why she suggested it to me. Some of Carlson's thoughts and exercises are great and good reminders of what the real priorities in life are about. Learning to "let go" or thinking about the overall picture. I was worried about whether a relationship I'm in would work out or not and I thought of the "Will this really matter a year from now" exercise. And also the chapter on "The Snowball Effect of Your Thinking." A lot of the things in here are kind of common sense, but we never stop to think about these ideas. Things like "Choosing Your Battles Wisely" or "Becoming a Better Listener" just for example. This book is truly one about ways to improve your life as well as being able to step back, take a deep breath and enjoy life. I'm the kind of person that has a hard time living in the moment, always planning and worrying about what I have to do next. I really liked the laid-back, relaxed writing of this author and the profound and simple truths we all seem to miss from day to day. "Stop and smell the roses" is what this book is really trying to say. I like a book I can pick up and read a few pages and feel refreshed. I work at a public library and have recommended this volume to many patrons. We have a reserve list a mile long, and can't keep any copies on the shelf. My favorite chapter was "Pretend you are at your own funeral." That really said a lot to me and I'm really trying to apply some of the simple truths of this great little book to my daily life. Bravo!!!! I found this book a quick read. It's not a particularly deep book but it does have some practical advice for keeping things in perspective (a very good thing when one is unemployed and trying to provide for one's family). The bit that fascinated me the most is that the author is from the Bay Area so some of his specific examples hit very close to home. This book is valuable to ANYONE. Sometimes we are so busy with life that we tend to let the littlest things bother us, when all we should be doing is enjoy what we have. If you just take one or two things from this book, it will enhance your life. This book is excellent! 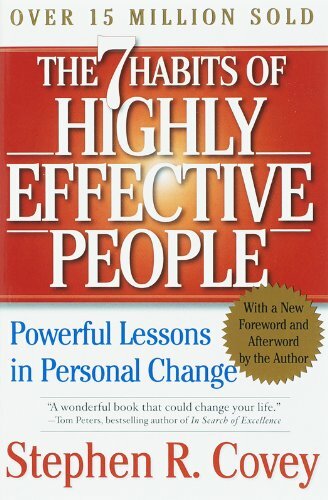 In the more than fifteen years since its publication, the classic The 7 Habits of Highly Effective People has become an international phenomenon with over fifteen million copies sold. Tens of millions of people in business, government, schools, and families, and, most important, as individuals have dramatically improved their lives and organizations by applying the principles of Stephen R. Covey's classic book. The world, though, is a vastly changed place. The challenges and complexity we all face in our relationships, families, professional lives, and communities are of an entirely new order of magnitude. Being effective as individuals and organizations is no longer merely an option -- survival in today's world requires it. But in order to thrive, innovate, excel, and lead in what Covey calls the new Knowledge Worker Age, we must build on and move beyond effectiveness. The call of this new era in human history is for greatness; it's for fulfillment, passionate execution, and significant contribution. Accessing the higher levels of human genius and motivation in today's new reality requires a sea change in thinking: a new mind-set, a new skill-set, a new tool-set -- in short, a whole new habit. The crucial challenge of our world today is this: to find our voice and inspire others to find theirs. It is what Covey calls the 8th Habit. People want peace of mind and good relationships, but also want to keep their lifestyle and habits. Relationships are built on trust, but most people think more in terms of "me" -- my wants, my needs, my rights. Management wants more for less; employees want more of "what's in it for me" for less time and effort. Businesses are run by the economic rules of the marketplace; organizations are run by the cultural rules of the workplace. Society operates by its dominant social values, but must live with the consequences of theinviolable operation of natural laws and principles. "The Seven Spiritual Laws of Success"---- " revisited"
Knowing how to be spiritual is going to be our quest, for our future understanding depends on it. It's going back to our roots so to speak...from where we came...remember? If "Healing Society" by Dr Seung Heun Lee requests a spiritual awakening to accomplish our goal of "playing well together" to accomplish our higher purpose of peace on earth... who better than a wise and compassionate teacher, we know as Deepak Chopra, to tell and show us how to be this? Deepak generously leads us to a beautiful place where all we have to do is "be." Spirit is what we are... and love is who we are... and where we come from and then return to. What more can we desire? Maybe to revisit that perfect state from which we came,perhaps? Maybe everything is possible and simple. Maybe we should return to our innocence. In innocence we are fearless in our thoughts and actions...totally in tune with our inner self. Let's be beautiful together...in spirit shared from our hearts where God lives. Read or reread "The Seven Spiritual Laws of Success" A Practical Guide to the Fulfillment of your Dreams and Deepak will give you the gift of your inner you...your "self"...dare to be beautiful! Practical and very fulfilling. A must read! "This existence of ours is as transient as autumn clouds." It is always nice to find someone out there that thinks the same way you do, however express it much better. 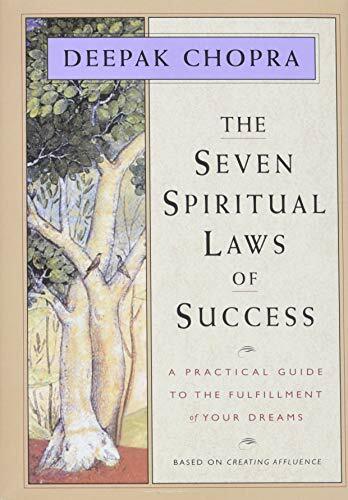 In "The Seven Spiritual Laws of Success", by Deepak Chopra, he describes the fundamental principles of the universe and how we as part of the universe can be successful. Throughout the book he has to slow sown and explain how he is using many of the words as we usually give them different meaning. Then there are a few times that he has to turn to Indian words instead of making up new ones. Many say he is based in Ancient Vedic concepts yet if you did not know of them you would relies these are concepts of the now. He hits the deck running with this book so if you have not been exposed to these concepts before you may need to re-read the book several times. And this book was not meant to jus be read you need to practice the concepts to understand them. This book is based on "Creating Affluence" and does not have the size to contain a lot of background reasoning for drawing conclusions. Your practice off the laws will do that for you. The concepts are too simple to give the titles any meaning however here they are. Be sure to also listen to the audio to here how he emphasizes. 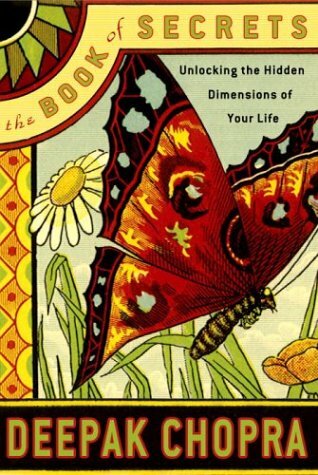 I first read this book about 4 or 5 years ago when I began my journey towards discovering my Higher Self. This book is a great read no matter what religion (if any) you belong to. Honestly, the fundamental laws that lead to success in the game of life along all lines--health, wealth, peace of mind, love/relationships and true expression--are very simple but few of us are lucky to happen upon them. Then, for those who do, applying these laws consistently is something that even fewer of us do. I try to keep this insightful idea in mind when I consider not only finanacial and material concerns but my relationships and interactions with people as well. I have read 3 of the author's books and this one is thus far my favorite. Chopra has manage once again to bring a lot of Eastern Philosophy to the west with a certain simplicity.He makes it easier to follow these principles in our everyday lives.Spirituality is everyday living and This book allows us to practice that! An all-around good book for an intro to organic chemistry. Good example problems, plenty of end-of-chapter questions and concise explanations of critical concepts. Lays an excellent foundation of molecular theory as it pertains to Organic Chemistry in the first few chapters. End of chapter review (very thorough) gives tables of important reactions, their respective reagents/catalysts, and in some cases real-world applications (very helpful). Of course, I had excellent teachers for these courses, so I am a bit biased in favor of this book. But, organic chemistry is inherently not an extremely difficult subject to understand; mostly memorization. I found the graphics somewhat boring, though, and felt they could have aided in understanding concepts, as might be the case with students who stuggle with this subject; maybe the newer editions are better; I haven't seen them. I have used this book in replacement of my organic chemistry class book. It's much more clear and easy to learn. However, it would be nice if the book and answer book was not so expensive but it's worth to me. I read this book for my first organic chemistry course.I found it very helpful and i still refere to it at times.I specially find the chapeter about SN1 and SN2 reactions very useful because i tried couple of the other books before reading this one. Kudos to Professor Carey on a job well done! I have used the text for a semester and must say that it is a clear, well-written book. Difficult concepts are simplified; this text is definitely a must-read! As she eagerly awaited the birth of her first child, Mallika Chopra began to craft a unique gift that would express her profound loving commitment to the baby growing inside of her. 100 Promises to My Baby is that gift--one that reflects her deep awareness of the sacred responsibilities of parenthood. Here the author shares the vows she made to help her child--and all children--grow up feeling cherished and secure, look at the world with wonder and curiosity, and learn spiritual values that enrich life and contribute to making the world a better place. 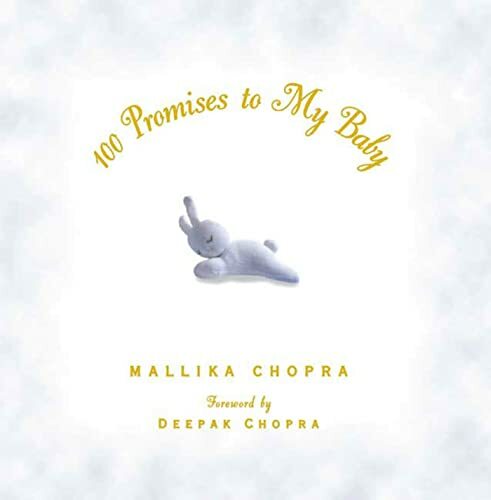 Accompanying the 100 promises are short essays, reflections, poems, and stories that have inspired the author throughout her life--and that will inspire readers to think about their own lives, values, and beliefs, and what they would like to pass on to their children. All moms should read this book.It is a special classic that will never go out of style.It's perfect for mothers-to-be in what they can look forward to as a mom.It's also perfect for women that are already mothers because it is a reminder of what a gift a child is to the entire world.There are so many lessons in this book, you can feel the love on each page.Buy this book for you and your child, you'll use it forever. Mallika says so beautifully what all mothers feel in our hearts,This book is a treasure, for mothers of all ages, with children of all ages.Just in time for mother's day!This is my new favorite gift to give at baby showers.Thank you, Mallika! Brought thoroughly up-to-date-with the latest information on everything from diapering to daycare, from midwifery to hospital "birthing rooms," from postpartum nutrition to infant development-THE BABY BOOK remains the one must-have resource for today's new parents. I have this book and read and referred to it many times. Much of the information is sound advice from medical professionals. BUT--the promotion of the family bed and attachment parenting will not work for everyone. Ultimately the family bed and co-sleeping were NOT for me. I am a light sleeper. Our first child was in and out of our bed, making the entire family sleep deprived. At 14 months we decided co-sleeping wasn't working for us; we put her in a crib and she was confused and angry. At 5 she is still inordinately attached to me. With our second child I was determined not to follow Sears advice. After nursing, I put him right into the cradle and patted him to sleep. He is now 2 and 1/2. People are still amazed at his ability to self-soothe and fall right to sleep at naps and bedtime. Sleep has never been an issue with him, and I feel he is just as loving as our first child - and much more secure! Instead of Sears, I recommend Your Baby and Child by Penelope Leach. No need to buy the pregnancy book or the others in the Sears collection. This book has enough information on most of the topics you need to be knowledgable of. Easy reading and a great consultation book after your baby is born. If you read only one book, this is it! 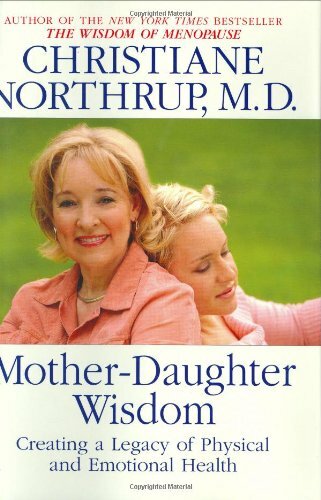 As a parent and a licensed marriage and family therapist, I have read most books on this subject. 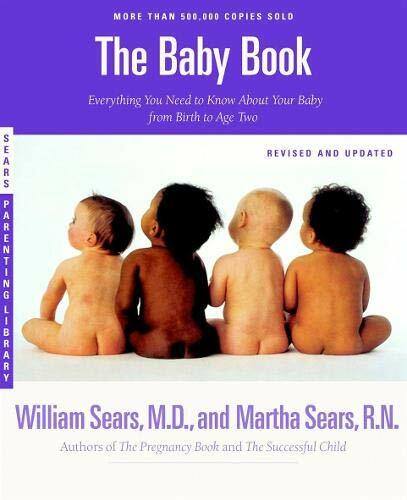 Dr. Sear's books are the only ones that I have found that are consistent with a baby's developmental needs. I have been stunned to read some of the incredibly bad advice out there in other books. I give this book to every new parent I know! Buy this book! It has been the most helpful book I've read on childcare, and I've read a lot. It has validated me on the style of parenting that fits me the best and has been an excellent guide on how to be more effective in this style of parenting. It has helped me foster security in my kids. Lose weight, get in shape, understand your emotions, and feel good about yourself. These are the interrelated goals of Get with the Program by Bob Greene, best known as Oprah's personal trainer and coauthor of Make the Connection. Using this book is like having a personal coach working with you on emotional and behavioral changes as well as diet and exercise. Greene realizes that if you've had trouble losing weight, you need to understand your attitudes and obstacles before any diet or exercise program will work. So phase one of the program is a self-examination regarding changing your life, including written exercises to help you understand your emotions. Phase two adds aerobic exercise, without changing your diet, to rev up your metabolism. Phase three focuses on the emotional connection to eating habits, including identifying emotional eating triggers and working to overcome them. Phase four adds strength training and dietary changes. Bob Greene's book should not be labeled a diet book, so much as a book about changing one's lifestyle. Using his four-step process, I was able to rejuvenate my exercise and diet regimen and managed to lose about 20 pounds. Much of this was fat, as the fourth phase of Greene's plan emphasizes muscle building. This book is probably best suited for beginners. 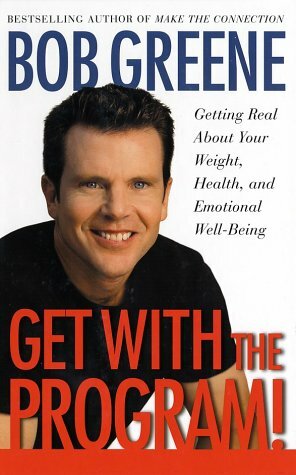 Greene's message addresses losing weight, improving cardiovascular health, understanding why you eat (emotional eating, ala Dr. Phil), and improving self-esteem. Greene also advises people not to eat after 7pm, which I believe may be based on the false premise that a person's metabolism shuts off during sleep. According to Greene's plan, you should change your lifestyle in fours phases: 1) find out where you are at, what got you there, and what you want to achieve; 2) implement an aerobic exercise routine; 3) get to know what emotions are working to cause you to eat in excess of your body's needs; and, 4) build muscle with anerobic exercise. If you already exercise regularly and are knowledgeable of sound nutrition concepts, you may not need this book. However, if you're like me, you may find Greene's book motivational and thus worth the money and time. Let's be clear up front: there are no major breakthroughs or miracles in this book. Most every American alive knows what it would take to get fit (exercise) and lose weight (eat less fat and junk). To a certain extent, therefore, "Get with the Program" is just a re-formulation of the hard facts we all know. What Bob Greene has devised is a realistic and relatively painless way of adopting those healthy practices into your life on a long-term basis. There are 4 incremental stages to the program which are simple and designed for each person to follow at their own pace. This means that you don't have to wake up tomorrow morning, starve yourself and run out the door for 2 hours at the gym. Step 1 is simple: start a minimum of aerobic exercise, basic stretches and some abdominal exercises a couple of times a week. Easy enough. Once you've thoroughly incorporated that into your life, you move on to stage 2 where exercise picks up a little. Not until you reach stage 4 do you begin to actively change your eating habits; that can be months or years later. This is a fitness program that isn't intimidating and isn't going to require you to drastically change your whole lifestyle immediately in order to get results and start feeling better about yourself. This means that a lot of people who haven't been successful in weightloss or exercise programs before are finally going to succeed in making long-term changes to their lives. Again, this isn't a radical fad diet (in fact, the nutritional advice is rather skimpy - follow Greene's principals, but don't hesitate to supplement the nutritional info if you need to)- it's about making gradual changes at a pace you can live with. Excellent book. Practical advice that moves beyond just eating recommendations and exercise recommendations. Covers emotional eating, dealing with needs. Very well rounded and more practical and reasonable than a lot of ther programs. There are nice journal pages also. To improve wellness even more, and to help make good authentic changes--like weight loss, one of the best book I have seen in a long long time is "Effortless Wellbeing: The Missing Ingredients for Authentic Wellness" by Evan Finer. Get with the Program and Effortless Wellbeing combined can really help as a combination. HIGHLY recommended!! and that is exactly what this book is all about. Walk 20 min a day, take the stairs instead of the elevator, jump rope when you walk. Diets alone won't do it...you have to make it a habit to MOVE. You should also check out anthoer great book I just read called "The Power of Positive Habits"...excellent!! Comprehensive approach to lifestyle change!